G20 demonstration organizer Alex Hundert, 30, was arrested at home the day before June 2010 Toronto G20 demonstrations began. He was charged with three counts of conspiracy related to organizing demonstrations. Released on $100,000 bail in July under strict conditions, including house arrest, and Hundert was prohibited from participating in any public demonstrations. Hundert was arrested for breaching his bail conditions when he appeared in a Ryerson University seminar about the G20 summit. Hundert plead guilty for breaching his bail January 24, 2011. This means the question of whether a university panel constitutes a public demonstration will not be adequately answered by the courts. "I made this plea because I realized I was doing no good to anyone as I sat in jail... I took a deal that would allow me to get back into my community where I can continue to commit myself to issues of social and environmental justice," said Hundert. "What we are challenging here is the way in which policing and correctional resources were used when there was no threat to public safety," said Nathalie Des Rosiers, a lawyer for the Canadian Civli Liberties Association. "That's a concern all Canadians should have." Of the more than 1000 G20 protest arrests, only 99 criminal charges remain outstanding. The rest have been withdrawn by the Crown. Several investigations and class action lawsuits into police actions and arrests during the G20 summit are ongoing. At least one Toronto Police officer, Const. Andalib-Goortani, has been charged with two counts of assault following investigations by Ontario's Special Investigation Unit. Charges out against nearly 100 people arrested on the University of Toronto (U of T) campus by the Toronto Police during Toronto's G20 summit weekend were thrown. Nearly 100 Toronto police officers will be disciplined for removing their name tags during the G20 summit. The arrestees were mainly Quebeckers who traveled to Toronto for the summit, and billeted at a gymnasium in a U of T building. Early on the morning of Sunday, June 27, police raided the building and rounded up nearly 100 people. They were charged with conspiracy to commit a criminal act. Police did not obtain a warrant because they thought they did not need one. The Crown decided otherwise, and dropped all charges related to the June 27 arrest. Faced with numerous complaints and pictures which showed Toronto Police not wearing their badges as required, the Toronto Police launched an investigation and identified nearly 100 officers who were not wearing their name tags. The officers now face disciplinary measures of lost days pay. "The entire system of police accountability turns in large measure on individuals who believe they have legitimate concerns having an ability to address those concerns with some certainty. If police or anyone in a position of authority has the ability to not disclose their identity, it raises a series of concerns both for the individual involved but also on a broader, societal level," said Toronto lawyer Eric Gillespie, who's heading up one of two class actions related to the G20. In addition to the Toronto Police Services' internal review, numerous other reviews are underway: the Toronto Police Services Board has commissioned its own independent review led by John Morden - a former Associate Chief Justice of Ontario; Ontario's Office of the Independent Police Review Director is conducting a formal inquiry of policing over the weekend; the Ontario government has launched two reviews of the Publicworks Protection Act after an order in council gave police added powers they misrepresented to the public over the weekend; the Canadian government has initiated a Parliamentary review; the Special Investigations Unit, an arm's-length police watchdog, is looking into five incidents of serious injury to civilians involving police over the summit weekend; and the Canadian Civil Liberties Association and the National Union of Public and General Employees co-hosted two days of public hearings to examine police activity during the recent G20 Summit in Toronto on Nov. 10 and 11, 2010. A woman who says she was in a crowd detained by police for hours at a Toronto intersection during a G20 protest has launched a $45-million class-action lawsuit against the Toronto Police Services Board and Canada's Attorney General. Sherry Good is acting as the representative plaintiff for more than 800 people who claim they were wrongfully arrested during the G20 summit in late June, 2010. She is one of approximately 500 people who were corralled by hundreds of riot police at the intersection of Queen Street West and Spadina Avenue for several hours in the rain on June 27. "The vast majority of the arrests and detentions over the course of the G20 weekend were unlawful and unjustified, as well as unconstitutional," outlines the statement of claim. "The Toronto Police Services Board is being sued because it is the legal entity charged with overseeing the majority of the police activity that took place that weekend," states Eric Gillespie, one of the lawyers representing Good and others in the class action suit. The Attorney General of Canada has been named because "it is the legal representative of the RCMP, who also had a significant role, it appears, in the events that transpired at that time," he said. 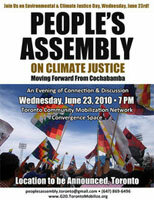 At least 1,000 people were arrested during the summit, June 26-27, 2010 in downtown Toronto. G20 detainee supporters gathered at Queen's Park in Toronto on Canada Day, with other demonstrations in communities across the country. Detainee supporters are demanding an independent public inquiry into police excesses during the G20 summit in Toronto June 27 & 28, 2010. Canada will host the 2010 G8 summit on June 25-26, 2010 in Canada's Muskoka region, Huntsville, Ontario. The Group of Eight (G8) brings together some of the world's major economies: Canada, France, Germany, Italy, Japan, Russia, the United Kingdom and the United States. Muskoka will be the fifth G8 summit hosted by Canada since the country joined the international forum in 1976. The Muskoka 2010 Summit will be a key opportunity for discussion of international issues, such as human rights, democracy and the rule of law. 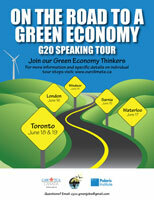 Canada will also host the 2010 G20 Summit, set to take place June 26-27, 2010 in Toronto, Ontario. The G20 2010 Summit will provide an opportunity to world leaders to follow through on previous commitments and to continue the work of building a stronger and more sustainable global economy. Under the theme of Recovery and New Beginnings, the G20 Toronto Summit will focus three key topics, financial sector reform, stimulus programs, and global trade and growth, while continuing to focus on implementation commitments made during previous G20 summits. 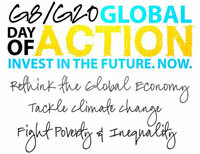 The 2010 G8 and G20 international meetings present an opportunity for Canadian civil society organizations to strengthen their collective voices and focus global issues such as environment, climate change, poverty, human rights and social justice. Facilitating civil society and affected communities participation for a fair and democratic process. Conducting effective advocacy, education, awareness building and civil society proposals on global and local issues around the 2010 G8/G20 Summits. Prioritizing community building and achieving results through collective activities. Promoting solidarity through peaceful activities. The 2010 World Religions Summit: Interfaith Leaders in the G8 Nations are meeting June 21st- 23rd, 2010, in Winnipeg, Manitoba. One of the goals of this meeting is to challenge the G8 nations to live up to previous commitments regarding the world's poorer nations, and to promote equity and justice. 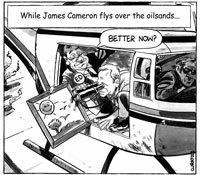 Manitoba Wildlands will be providing selected and recommended links for news, reports, and analysis regarding the G8 and G20 Meetings June 2010. Media releases and clips will be listed by: Pre Meetings, During, and After. Sub pages will appear below. Rabble livestreaming Shout Out For Global Justice! Shout Out for Global Justice! 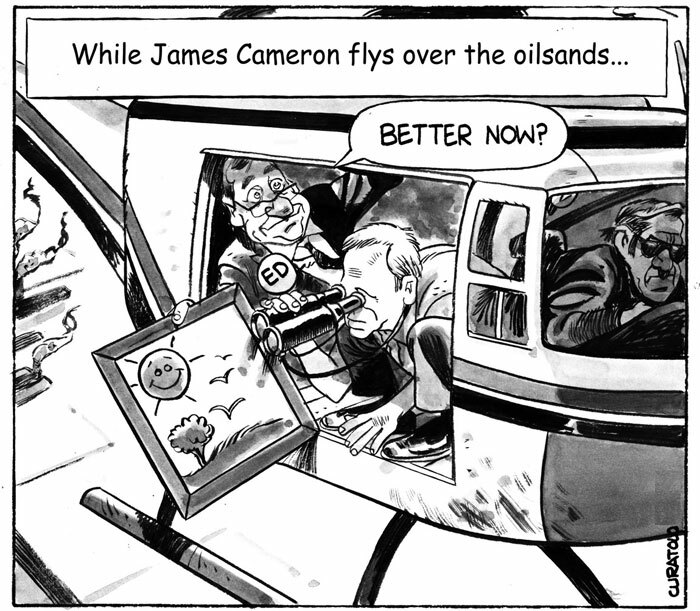 July 2, 2010 Maude Barlow: 'The World Has Divided into Rich and Poor as at No Time in History', Democracy Now! The weekend before the G20 summit, Oxfam will host a Gender Justice Summit in Toronto June 18-20, 2010. Held at Ryerson University, and part of the People's Summit, The Gender Justice Summit will be a dynamic gathering of Oxfam supporters, academics, advocates, researchers, policy-makers, and activists from around the world. The themes of the summit will include gender-based violence, maternal health, poverty, security, climate change, food security and more. Oxfam is an international aid and social justice organization, active in climate negotiations. Previously, civil society organizations called for a new multilateral international leaders'' forum to help govern the global economy. In response to current global crises and the importance of emerging economies, the G8 is also part of a new forum, the G20. When promising to repair the global economy and build an inclusive and sustainable recovery, G-20 leaders injected 1.1 trillion dollars into many institutions whose economic, finance and trade policies lead to the current global economic situation. 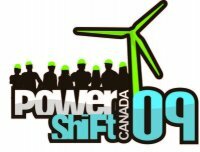 The Halifax Initiative has stated that global governance reform must go hand in hand with an economic paradigm that promotes equity, justice and environmental sustainability, and governments fulfill their human rights obligations and all citizens are able to claim their rights. With Canada hosting both the G8 and G 20 meetings, 2010 is an opportunity to ensure G20 policies result in democratic and sustainable changes in the the world. The Canadian Halifax Initiative, initiated a letter signed by over 100 international civil society organizations that calls on all governments to adhere to six key principles for renewing multilateralism and building a global leaders forum.